Our wide, brown land is abundant with amazing holiday destinations – from sand and sparkling surf, to tranquil bushland, bustling cities and everything in between. We’re revealing some of the most incredible places to visit in the land of Oz, with family accommodation options that won’t break the budget. If your childhood is full of happy holiday memories that revolved around caravan parks – here’s a holiday guide that’s sure to ignite your passion for family travel! Caravan parks certainly aren’t what they used to be. Yes, they still have that brilliant holiday feel and camaraderie between fellow travellers, but they now offer so much more. With waterparks, splash pools, incredible playgrounds and even luxury cabins, you may have a hard time dragging the kids away to actually explore your holiday destination! 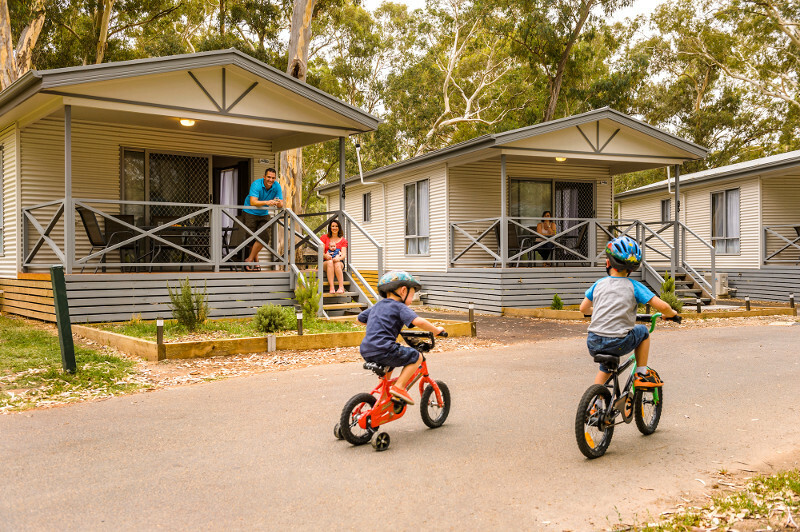 We’re taking a look at some of the best caravan parks throughout Australia that offer perfect accommodation options for families with young children. Beach getaways, country escapes, road trips – it’s all covered, and these holidays won’t break the bank. Queenslanders are a lucky bunch – this beautiful, sunny state has such rich pickings when it comes to budget family breaks. If you’re keen to teach the kids a little of Australia’s amazing history, head to Cloncurry (think Burke and Wills). 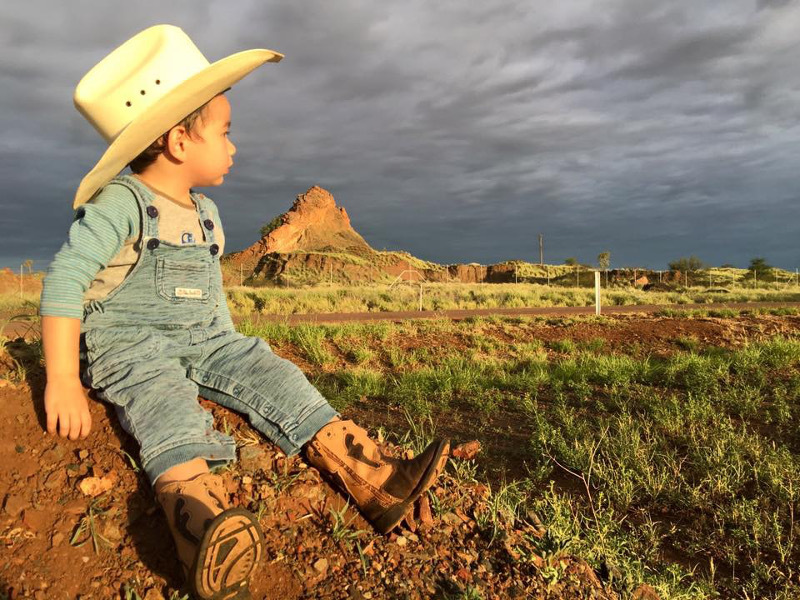 It’s the perfect base to explore our amazing outback, and you can immerse yourself in true Aussie style at the Cloncurry Caravan Park. The camp kitchen is a great spot to get to know other families, and of course the pool will give you somewhere to cool off after a day of exploring. 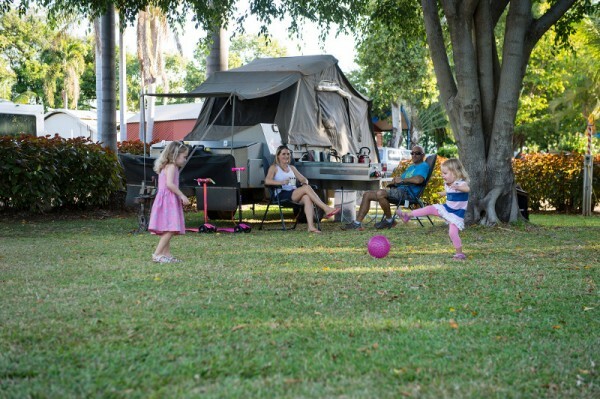 If your tribe is after a mix of bush and beach, nab yourself a spot at Tannum Sands Caravan Park, near Gladstone. The park is placed perfectly on the Millennium Esplanade which is a hub for picnics, barbeques and swimming. The park also has direct access to Tannum Beach, and is nestled in a bushland setting. Families are spoilt for choice when it comes to stunning locations for good, old fashioned road trip destinations in New South Wales. Eclectic and beautiful, Byron Bay is a must-see. 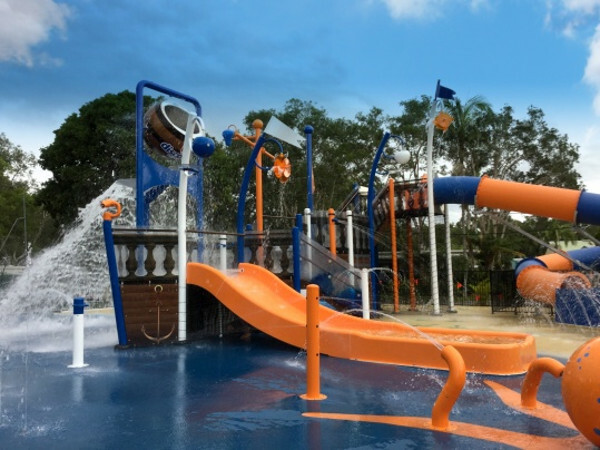 And the Byron Bay Caravan Park has just opened a brilliant water park, with slides, water cannons, tunnels and a heap of interactive features. There’s also a new resort-style pool, bouncing pillow and plenty of accommodation to suit any budget – from luxe cabins right down to unpowered sites where you can pitch a tent and enjoy the outdoor experience. The tranquil shores of Lake Jindabyne also offer a unique holiday experience. The Snowy Mountains is an amazing year-round holiday destination, with heaps to explore. The Jindabyne Caravan Park is just a couple of hours from Canberra, so if you’re undertaking a longer road trip, it’s a fabulous stop-over. The Great Ocean Road is one of Victoria’s biggest tourist drawcards, and it’s easy to see why. Viewing the 12 Apostles should be part of every family’s bucket list. The Warrnambool Caravan Park is perfectly placed for a whole bunch of great day trips, including the 12 Apostles, Port Fairy, lookouts and coastal trails. If you plan your trip to fall between July and September, you and the kids could even watch the Southern Right Wales returning to calve from one of the specially designed whale viewing platforms in the area. The Apple Isle has lots of bite-sized holiday options for families who are keen to take a short break, just hop in the car and you can feel like you’re a world away in just a couple of hours. Spectacular Cradle Mountain is one of those magical destinations that is just as brilliant in summer as it is in winter. Whatever the time of year, grab a spot at the Cradle Mountain Caravan Park (pictured above) where you can have a family camping experience, or cosy up in a cabin. You’ll feel totally enveloped in the bushland experience. Keeping in the national park theme, the Tamar Valley is a must-do. The Hadspen Caravan Park is in a prime position, just 15 minutes out of Launceston. Local attractions include the Tamar River and the Beaconsfield Mine, as well as local galleries and the sublime Cataract Gorge. This charming state may be best known for its incredible wine regions, but these are also some of the most incredible family hot-spots. The Barossa Valley is South Australia’s most visited destination, and it’s little wonder why. A stay at the Barossa Valley Caravan Park puts you in prime position to venture to the beautiful town of Tanunda, where you’ll be a stone’s throw from wineries, museums, tours, bushwalking, galleries and amazing food. Lake Bonney is also a great holiday spot, where you’ll have all the fun of a natural aquatic playground at your doorstep. 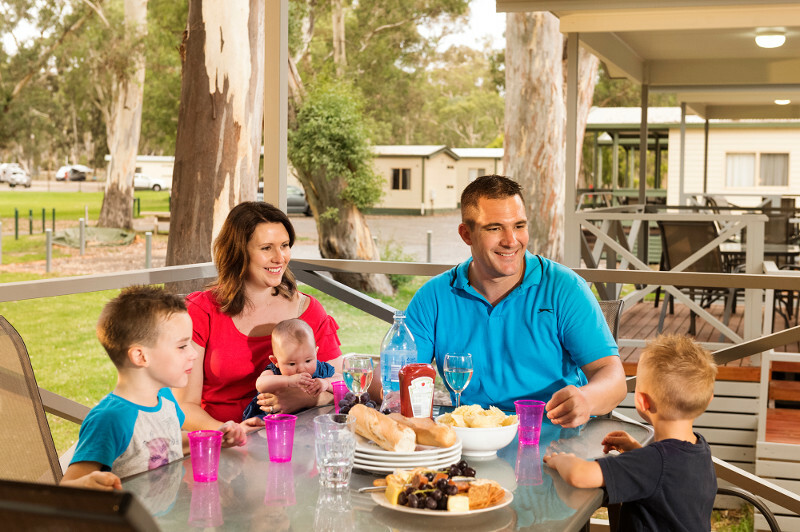 The Lake Bonney Caravan Park is a haven for families, and you can choose from camping on powered and unpowered sites, or stay in a 3.5 star cabin, which can sleep between four and six people. The huge expanse of Western Australia holds so many adventurous family breaks – although many may be just a little further than your average road trip! The Boulder Caravan Park is like a gateway to inland outback experiences in Western Australia. As we mentioned, the road trips are a little lengthier in our largest state – this one will take about eight hours from Perth. But once you’re there, this Discovery Holiday Park will be home base while you explore the goldfields – you can even bring your pet if you’re staying on a site, rather than a cabin. And you can introduce your kids to Australia’s largest open pit gold mine, the aptly named Super Pit. 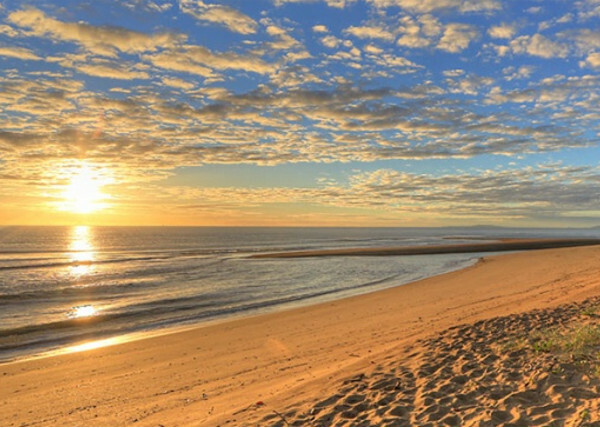 If the call of the beach is more to the liking of your tribe, Bunbury is where it’s at. 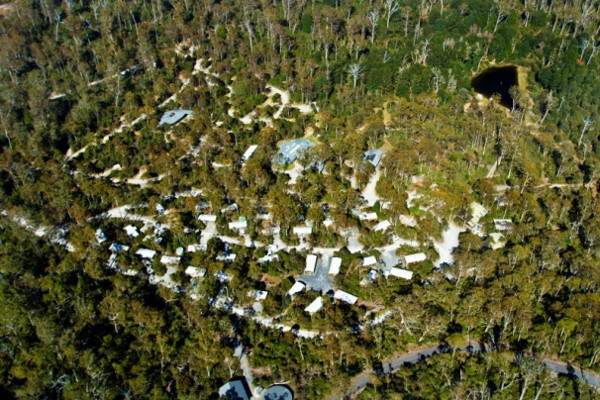 Koombana Bay Caravan Park in the south west is perfectly placed between Perth and the Margaret River region. You can leave the car parked and walk into town, or head out for the day to explore forests and the Indian Ocean – all on your doorstep. Holidaying in the Northern Territory isn’t complete without a trip to Darwin. 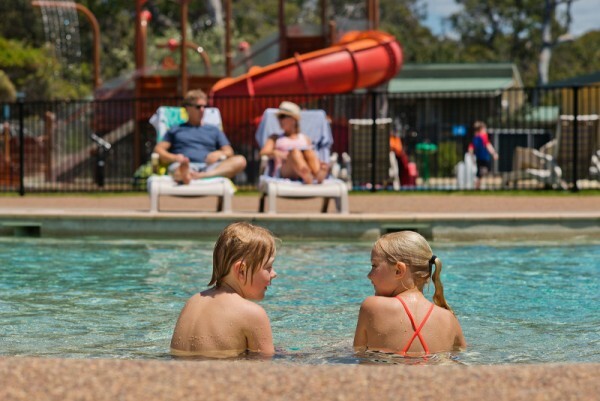 Discovery Holiday Parks Darwin is like a tropical oasis, with its lush gardens and cooling pool. It’s the closest park to the city, and the ideal spot to kickstart a Top End adventure, or relax after completing one. 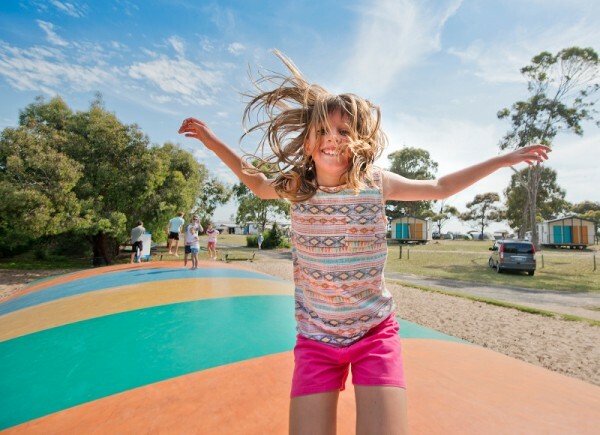 Discovery Holiday Parks are dotted all over Australia, and with more than 30 destinations, you’re likely to have one within driving distance. Staying at one of these parks really creates a family holiday experience. The service is personal, and you and the kids will get to meet other families who are also exploring our amazing country. Everything you need is to hand, and the parks are all located close to towns and tourist hotspots. If your family is in need of a break, that won’t stretch the budget, it’s really just a matter of opening a map. 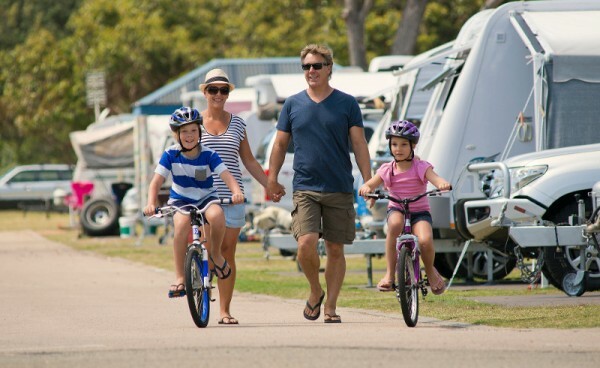 You’re certain to find a Discovery Holiday Park within cooee of wherever you want to go. Happy holidaying!